Modern MFT is designed to connect all of your information sources and consumers in a way that drives business agility with a simple user experience to manage data movement across your organization and beyond. With legacy and outsourced MFT technologies, companies are at a disadvantage when it comes to managing business-critical file transfers. 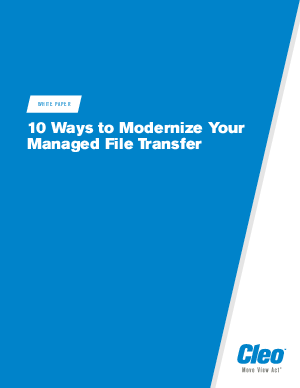 Read this white paper to learn 10 considerations when evaluating the capabilities of your existing MFT solution or a replacement to help your business better meet existing and future use-case requirement.